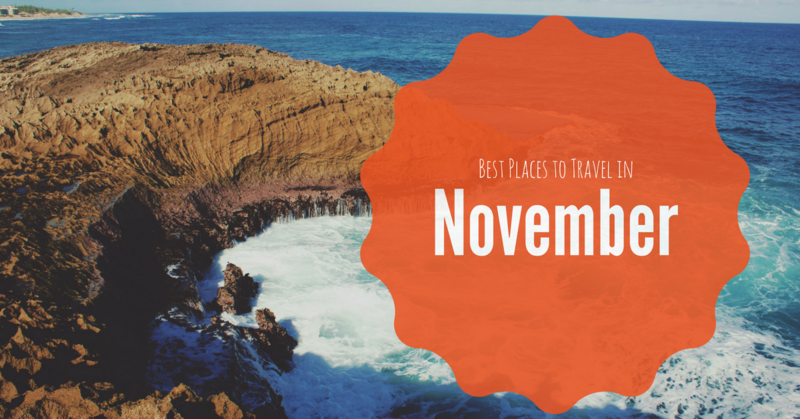 Many people choose to travel in November, as it is a great opportunity to explore the world before the craziness of the holidays set in. Tickets and vacation packages also tend to be cheaper during this time, as most people are saving up their money and vacation days to travel for the holidays, which means you get to take advantage of great savings! Fall in the Caribbean is a wonderful time to visit. The temperatures are more mild than during the hot and rainy summer, and you can take advantage of fun, outdoor activities like surfing, snorkeling, and paddle boarding. The weather in Hong Kong is never better than in November, when it is sunny, cool, and pleasant. November also marks the start of the Hong Kong WinterFest, which runs through January. WinterFest is when the skyscrapers in Hong Kong get into the Christmas spirit and are decorated to the max with lights, special shopping opportunities, and festive menus. November marks the end of hurricane season for the Caribbean, meaning you get to enjoy smaller crowds and low prices before they start to get busy in December. November is also when Turks & Caicos hosts the world’s only Conch festival, highlighting the delicious gastropod found in excess in the Caribbean. Where do you want to go this November?